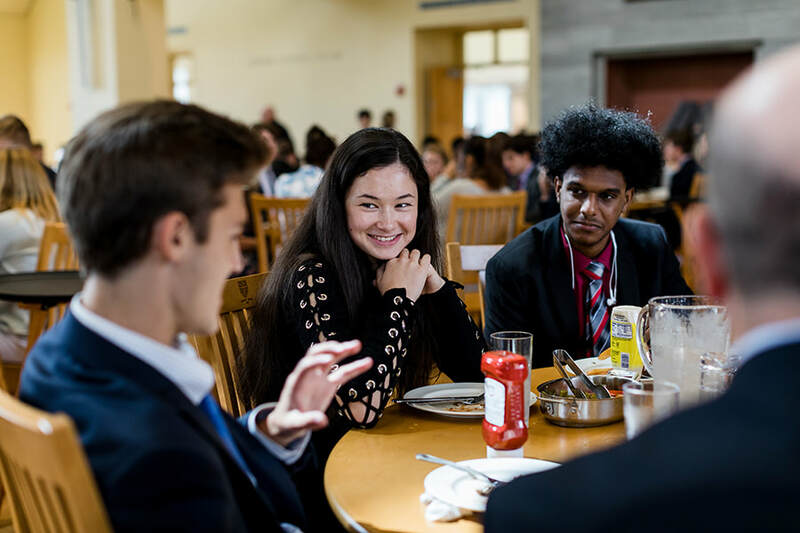 Financial aid at Westminster School provides more than an educational opportunity for individual students. It enables talented students from diverse backgrounds to contribute to the vibrancy of the Westminster community and enrich the experience for all students. 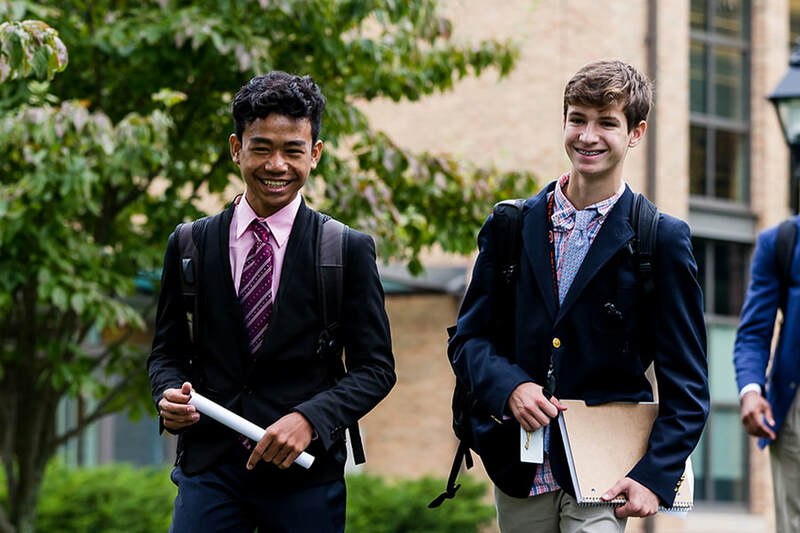 Westminster School seeks to recruit, retain and support students who will best embrace the advantages and opportunities offered by the Westminster community. 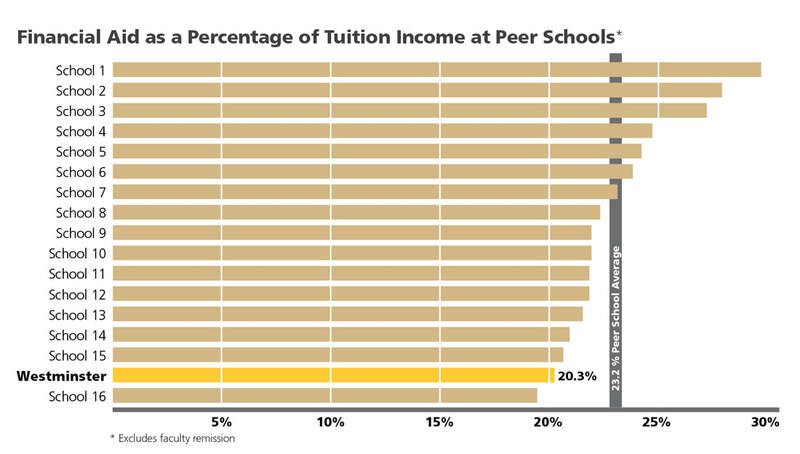 ​Currently, one-third of Westminster students receive some form of financial aid. But there is a need for much greater support. Financial circumstances should not determine a student’s ability to achieve excellence in secondary school and beyond. Important lessons are learned through conversations with those who have had differing life experiences, especially if those conversations take place during one of the most formative times in life: the transition from childhood to adulthood. After graduation, such lessons equip alumni to make a difference in their communities and in the world. 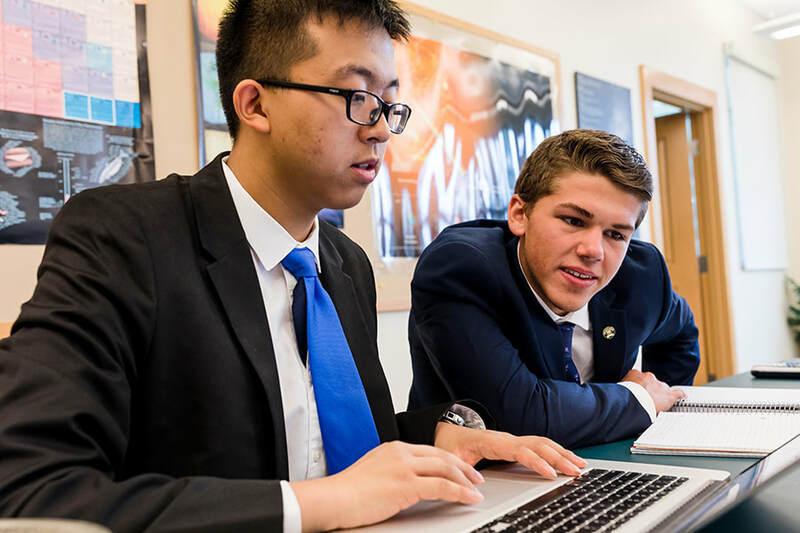 Increasing the availability of financial aid is an urgent priority for Westminster School. 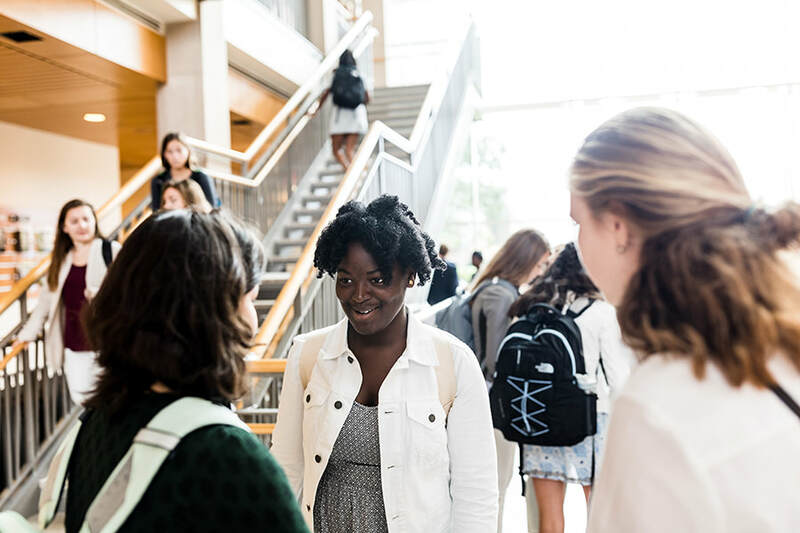 A strengthened and sustained financial aid budget will allow the school to compete successfully for top students identified through the admissions process as “best fits” for the school community. Beyond an initial scholarship, students who receive scholarships and need-based financial aid must be able to participate in the breadth of school programs including resources for essential items such as bedding, school supplies, athletic equipment, classroom technology or even a movie out with friends. An investment in financial aid at Westminster is an investment in creating opportunities and possibilities for all students on the campus. ​A common way to compare the strength of a financial aid program is to consider the amount of financial aid as a percentage of total tuition income. At 20.3 percent, the amount of financial aid resources available for Westminster students is below the average of 23.2 percent among 16 peer schools. Increasing the financial aid budget will help Westminster compete with peer schools for students who will contribute to the vibrancy of the campus and the experience of all students. 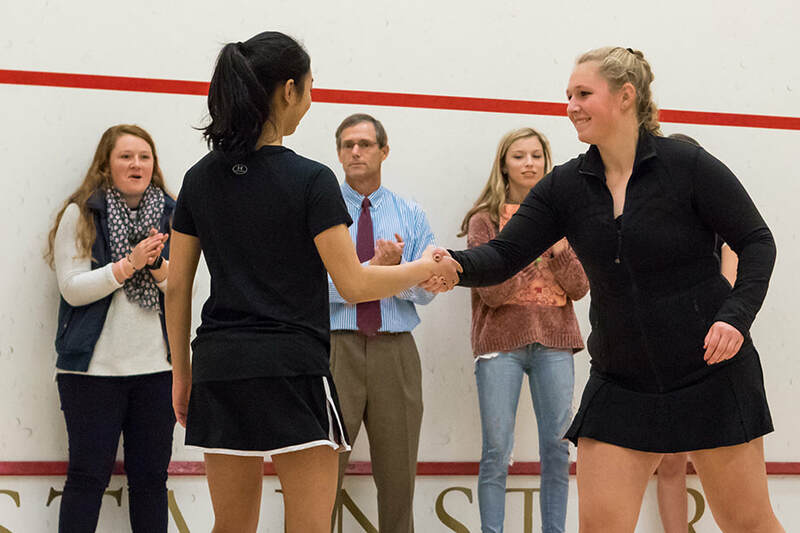 Endowment gifts generate income in perpetuity and secure a foundation for Westminster’s financial aid resources. A $1.25 million endowed gift generates the approximate income required to cover the cost of tuition and boarding expenses for a student receiving full financial aid. A scholarship fund supports students with demonstrated financial need. ​Donors have the opportunity to discuss preferences and help shape priorities for these endowed funds. 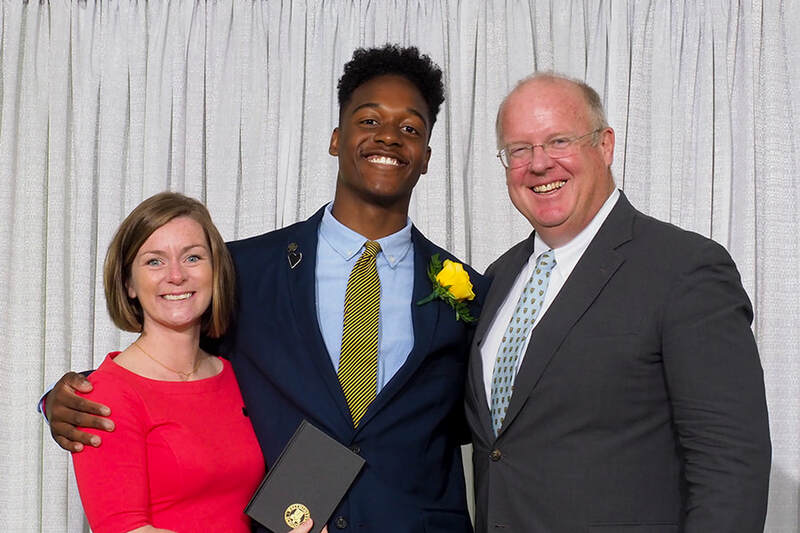 Helps ensure that students receiving the most generous financial aid packages enjoy the same Westminster experience as their peers by providing funds for necessities like clothing, books, laptops, graphing calculators, exam registration fees, trips, athletic equipment and other essential expenses. Helps students complete their Westminster experience all the way to graduation if their families encounter unexpected financial issues. Provides budget relief to support a specific student receiving financial aid. Provides budget relief to support students receiving financial aid.